Following my prior post Serious Games For Healthcare Design Beyond the Hospital, here is another article addressing how real time visualization technology penetrates the health industry through "Serious Games" for both patients and practitioners. An example given was a game developed for patients with burns, set in a frozen place where there are polar bears and penguins in a wintry landscape. After certain tests, it was proven that patients’ pain had been alleviated. “It’s a subconscious thing, and it’s very powerful,” Laning said. “In traditional rehabilitation, the exercise becomes the obstacle. With the game, what happens in the game is the obstacle and by overcoming the obstacle, the patients are actually exercising. Even if they are in pain, in a way, they have a mental detachment from what they are doing: this is very important in keeping people engaged in rehabilitation,” Severs explained. Standardization in terms of developing medical gaming technology has helped reduce costs by a large margin, he remarked. Currently, Grendel Games is working on Virtual Endosuite, a training application for laparoscopic surgery assistance. The new project borders on simulation and gaming because it’s fairly serious; it has to be fun, but it should be accurate as well. According to Severs, “There’s always the case of liability for a hospital, there’s a lot of skepticism. We have integrated the validation route with the development route. When we start developing, we also start validation.” This is to provide direct and immediate input from medical professionals, according to Laning. 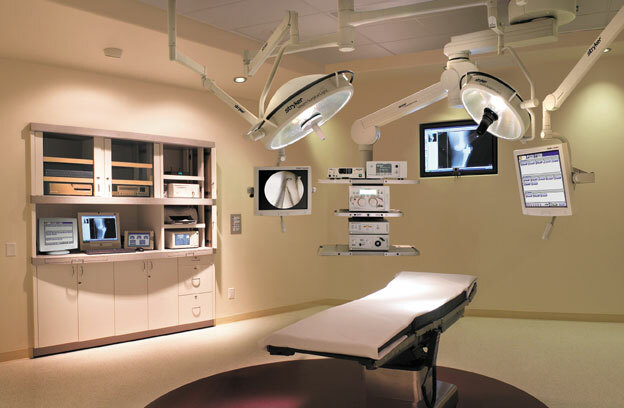 Many people are involved in medical procedures. The success of surgery in an endoscopic environment is not only dependent on the skill of surgeons, but also on the professionalism of the assisting staff. Staff has to be familiar with the rapidly changing technology used in endoscopic operating environments. The Virtual Endosuite is a training tool that does not concern itself with surgery or patient, but focuses solely on the training of assisting staff in handling surgical instruments and equipment. exactly when and what to do. The Virtual Endosuite includes a scenario editor with which a wide range of situations can be designed. Trainee responses to these scenarios can be measured and reflected upon by trainees and instructors, and results can be compared using an online database. This project is being developed in close cooperation with LIMIS. Grendel Games is a developer of both entertainment and "Serious Games". Grendel Games' real-time visualization technology is used to drive several high profile simulations and visualizations. Their Serious Games benefit from this technology to govern the learning experience. Grendel Games uses proprietary technology to create nearly all of its Serious Games. The 'Chameleon' engine combines graphics, audio, animation and physics to create an engaging experience for the player. Furthermore, because the engine is completely platform independent, a game that is developed for PC can easily be run on Wii, Xbox 360 or PlayStation 3.